Description: Podthingy is where the geeks meet over drinks to discuss the latest in nerd culture. In this episode, we welcome special guest Ivan Van Norman from ’King of the Nerds‘ and talk to him about his experience on the show and his new RPG, Outbreak Undead. We also discuss the Podthingy gang's experiences with role-playing games such as Dungeons and Dragons, the future of the Amazing Spider-Man franchise, Brandon Routh being cast as the Atom, Supernatural, Hemlock Grove, American Gods, Netflix, Better Call Saul, How to Train Your Dragon 2, Kung Fu Panda, the power of editing, our favorite geek collectibles (including KISS condoms), and the startling secret reality behind the Animaniacs. Podthingy is where the geeks meet over drinks to discuss the latest in nerd culture. In this episode, we welcome special guest Ivan Van Norman from ’King of the Nerds‘ and talk to him about his experience on the show and his new RPG, Outbreak Undead. 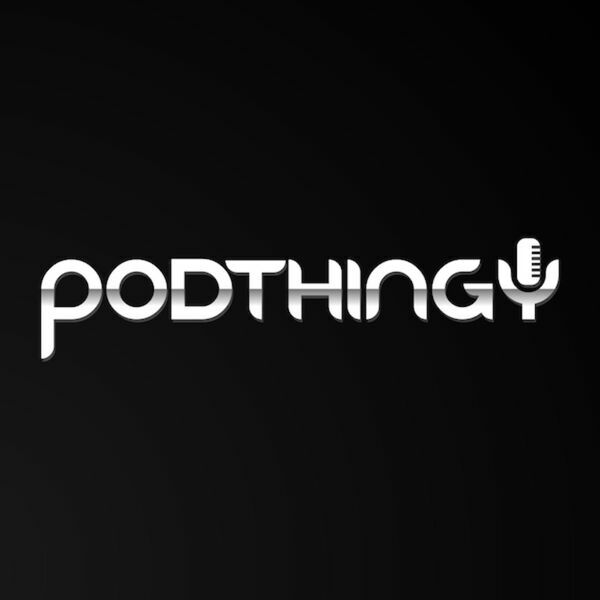 We also discuss the Podthingy gang's experiences with role-playing games such as Dungeons and Dragons, the future of the Amazing Spider-Man franchise, Brandon Routh being cast as the Atom, Supernatural, Hemlock Grove, American Gods, Netflix, Better Call Saul, How to Train Your Dragon 2, Kung Fu Panda, the power of editing, our favorite geek collectibles (including KISS condoms), and the startling secret reality behind the Animaniacs.